Includes 3.5mm audio jack for discreteness, volume switch for flexible use and 18"straight cord assembly. 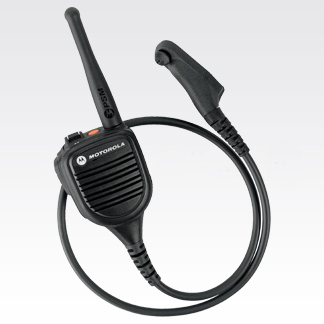 This public safety microphone is innovatively designed to give you clearer communications than ever before. It delivers audio that is clearer, more easy to understand and up to 50% louder than XTS-series remote speaker microphones. The Windporting feature dramatically lessens background noise from high winds and other severe weather.&amp;nbsp;Antenna is sold separately.